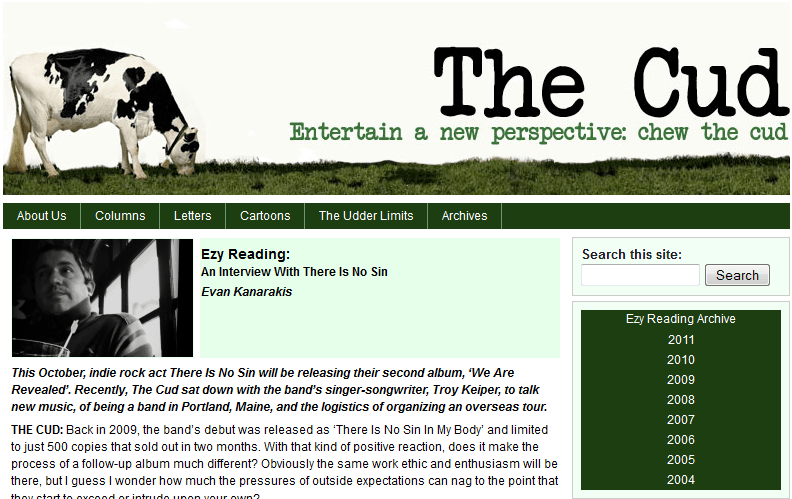 A little while back, Evan Kanarakis of The Cud was kind enough to listen to my upcoming CD and lend me his thoughts. The following link is for an interview that we did a month ago. Do I spill on it? A smidge. But only a smidge.